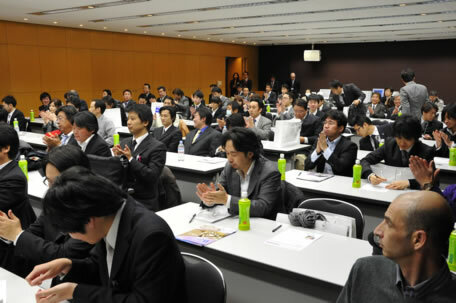 February 21, 2011, The advantage of using an open dental CADCAM system is clearly an important topic for Japanese dental professionals, judging by the success of two recent seminars in Nagoya and Tokyo. Organized by WorkNC Dental distributor, Data Design, and partner Dental Wings, the seminars attracted 180 delegates from Japanese dental milling companies. Open dental CADCAM allows laboratories to choose the most appropriate milling machine, tooling and scanner. It also makes it possible to import scanned data from multiple sources, and allows the use of the latest materials and techniques within the industry, which may not be available in some closed systems. Additionally, it allows dental technicians to evolve innovative techniques for themselves, without relying on their system provider. Prominent attendees and contributors included dental system suppliers such as 3M and Astratech; some major Japan milling centers; machine makers such as DMG/Mori Seiki, Roland, Modia, and Mitsubishi; and 3D printing service providers such as 3DSystems, EOS, and Objet. The sessions demonstrated the range of choices available to dental laboratories and clinics. The first session of each event expanded on how the open dental CADCAM model is already operating successfully in the USA and Europe, where laboratories specializing in dental milling are selecting the most appropriate machine and CADCAM solution for their application. This was followed by a presentation from Dental Wings of its 3, 5 and i-Series scanners, and case studies of how the company has cooperated successfully with a number of partners. Finally, Data Design demonstrated WorkNC Dental CAD CAM software. This session showed how the manipulated CAD data could be imported into the system and nested in a blank, with appropriate support pins. The company then showed that one mouse click was all that was required to generate the CNC code for any make of machine tool. Machining wizards within the software then select the most appropriate tooling and processes for each material. This capability enables a full range of prostheses to be machined in a wide range of materials, including zirconia, wax, chrome cobalt, titanium and PMMA. Case studies showed how the techniques work in practice, and how the companies using them have been able to be innovative in their approach to prosthesis manufacture.